Though it’s often portrayed as a frightening and painful procedure, a root canal is nothing to be afraid of. The procedure is actually a way to relieve pain from a severely infected tooth. 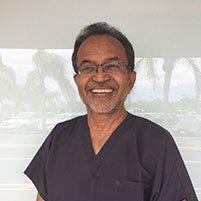 Cosmetic and family dentist Dr. Durgesh Thaker provides root canals and all-porcelain crowns at both of his offices in Tamarac, Florida. If you have severe tooth pain or suspect tooth decay, call or book an appointment online today. A root canal is necessary when the pulp, or interior soft tissue, of your tooth becomes irritated or infected. Infection may occur as a result of a minor crack in your tooth, injury, decay, or repeated dental procedures. The pulp of your tooth contains nerves, blood vessels, and connective tissue. As your tooth grows and develops, you need the pulp, but once your tooth is mature, it can survive without it. During a root canal, Dr. Thaker drills a small hole in the tooth to access the pulp, and he thoroughly cleans and disinfects the interior of your tooth. He then fills it with a biocompatible material known as gutta percha and seals the tooth to prevent future infection. The repaired tooth is then capped with a porcelain crown that matches the shape and color of your natural teeth. A crown feels and functions just like your natural teeth. How do I care for a tooth following a root canal? In the days immediately following treatment, you may experience sensitivity or soreness in the treated tooth. This should subside in a couple of days but can be alleviated with over-the-counter medications or, in some cases, prescription pain relievers. Once your root canal treatment is complete, your tooth should function just like your natural teeth. Practice good oral hygiene, including regular brushing and flossing, as well as regular professional cleanings and checkups, to keep your crowned root canal healthy. For a quality root canal and porcelain crown, call or book an appointment online with Dr. Durgesh Thaker today.